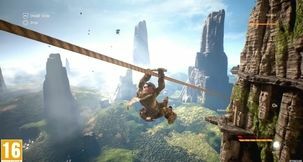 You've never seen the PC community band together quite as fast as when a developer or publisher announces plans to omit DRM from their title - and Styx: Shards of Darkness is the target of love for today. 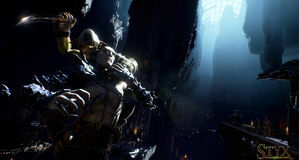 The self-proclaimed master of stealth returns in the final Styx: Shards of Darkness launch trailer with more comedic quips than kills. What's worse than a Goblin with a knife? Two goblins with two knives! 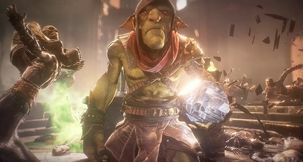 Styx brings a friend in the newest Styx: Shards of Darkness co-op trailer. You ever wondered what the bottom of a Goblin's shoe looks like? Well... BAM! There it is. It may have originally been due to launch last year, but we're just glad to see it arrive at all. 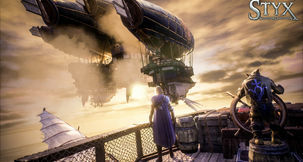 The original Styx: Master of Shadows may have garnered average review - but average is average! It's enough for a second round. So that's what we're getting with Styx: Shards of Darkness.